The future is uncertain for the Office of National AIDS Policy — as well as millions of lives. Donald Trump’s first week as president has been the nightmare we've mostly been expecting, and LGBT people weren't left behind in his path of destruction. Following the inauguration, all references to LGBT people disappeared from the White House website, including an apology from Secretary of State John Kerry about the government’s history of purging LGBT workers from federal jobs in the 1950s and '60s. Most troublingly, the webpage for the Office of National AIDS Policy has been removed, triggering reports that the program had been eliminated. Jeffrey Crowley, the former director of ONAP under President Barack Obama, told The Advocate that there’s no indication the office has been shuttered as of yet. Crowley, who served in the office from 2009 to 2011, said that he didn’t start until a month after Obama’s inauguration, as most White House staff are political appointees and change between presidents. The previous ONAP staff ended their service on January 4, which means it could be weeks before the LGBT community learns about the department’s future in Trump’s White House. The truth is that Trump, who said almost nothing regarding HIV/AIDS prior to his election, likely doesn’t have a strategy in place for tackling the ongoing epidemic — or even maintaining the programs already in place. The 45th president mentioned HIV just once on the campaign trail; that was in regards to the U.S. President’s Emergency Plan for AIDS Relief, a program set up by President George W. Bush to tackle the spread of the disease in Africa. Trump's comments left much to be desired. During an appearance at the No Labels Conference in October 2015, an audience member asked if Trump would “commit to doubling the number of people on treatment to 30 million people by 2020” through the program. But as Ed Yong first pointed out in The Atlantic, there’s a problem with Trump’s response: “It’s unclear if Trump actually understood the question, given that PEPFAR doesn’t cover Alzheimer’s.” His transition team would later question the need for foreign aid to curb HIV/AIDS, referring to it as a “massive, international entitlement program.” As of the time of writing, the White House’s PERFAR web page remains active. “Our analysis of President Trump’s record on HIV/AIDS in the U.S. found that he doesn’t have one,” he said. Harlem United, an advocacy organization focusing on HIV/AIDS, co-authored a report with the Boston-based care center Fenway Health on where the major party candidates stood on the need to end the ongoing HIV crisis globally. The two groups examined the nominees’ campaign statements and public platforms, as well as interviews and news articles written about them. Trump was the only candidate to remain virtually silent on the virus, with his campaign website totally ignoring the issue. If HIV/AIDS isn’t on Trump’s radar at all, that could be a major problem under the new administration. Last Monday, the president signed an executive order instituting a hiring freeze on all federal government jobs. The move was intended to reduce the “dramatic expansion of the federal workforce in recent years,” press secretary Sean Spicer said. The failure to restaff ONAP could jeopardize the office’s future under future administrations, Crowley said, which would have a devastating effect on the progress we’ve made in tackling the spread of HIV in the U.S. 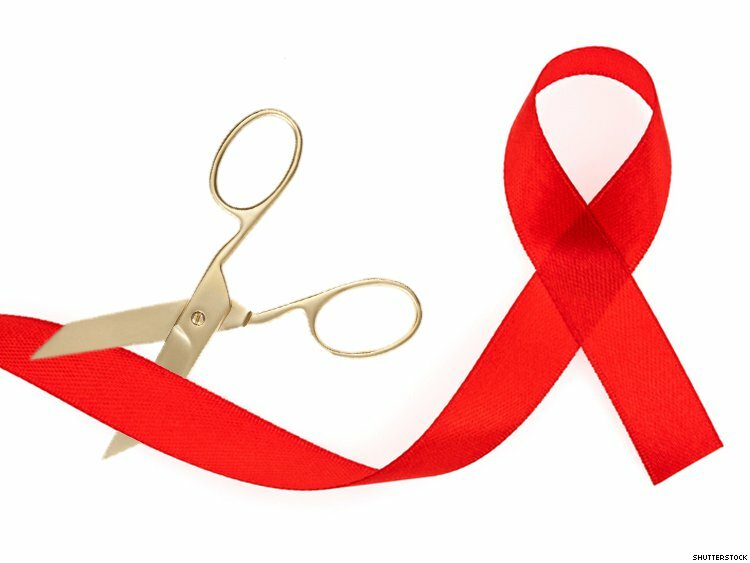 In 2010, Obama unveiled the National HIV/AIDS Strategy, an ambitious plan that designed to “reduce the number of new diagnoses by at least 25 percent,” among other things. That strategy has fallen short of its high goals, but under Obama, the rate of HIV infections has flatlined at around 40,000 new cases each year, according to David Ernesto Munar, the CEO of Chicago’s Howard Brown Health Center. Without a policy to match the previous administration’s, it’s highly likely that those numbers would increase, especially given his vice president’s previous failures on HIV. As the governor of Indiana, Mike Pence dramatically reduced state spending on public health, leading to the closure of the sole Planned Parenthood in Scott County, a rural district located in the southeast corner of the state. It was just one of five that operated in Indiana prior to the cuts. That center provided crucial HIV testing and preventative care to the county’s 28,000 residents. Without those resources, there was a major outbreak of the virus, leading to 190 new cases of HIV in 2015. In addition, Pence advocated the diverting of federal funding for the Ryan White Care Act, a program that provides life-saving resources for low-income people living with HIV, to conversion therapy on his website during his 2000 campaign for Congress. The Republican has yet to respond to criticism of his record on HIV/AIDS. Following the election, critics were asked to give Trump a chance — or wait and see what becomes of his policies. HIV-positive individuals don’t have that option.